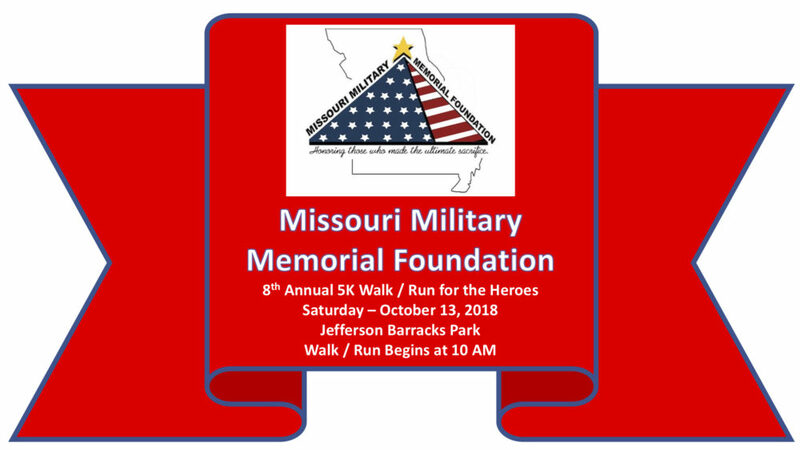 The Missouri Military Memorial Foundation, a 501(c)3 non-profit organization, hosts our annual 5K Walk/Run for the Heroes every 2nd Saturday in October of every year, to help raise funds to build a monument to honor our fallen military personnel from the State of Missouri. 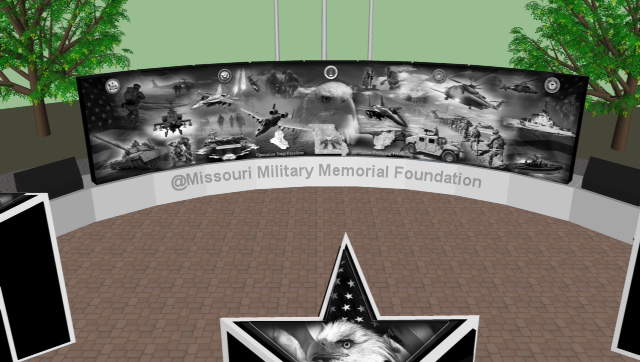 Our monument will honor those who were killed in action, or a casualty of war, during Operation Iraqi Freedom, Operation Enduring Freedom, Desert Storm and Desert Shield. 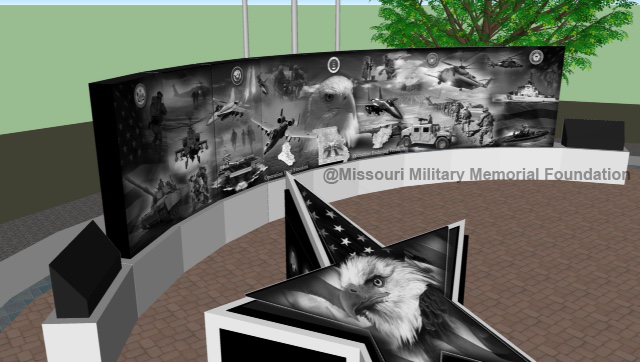 The MMMF was founded by SGT Amanda Pinson‘s (KIA 03.16.06; OIF) mother, Chris Andrews, in 2010. 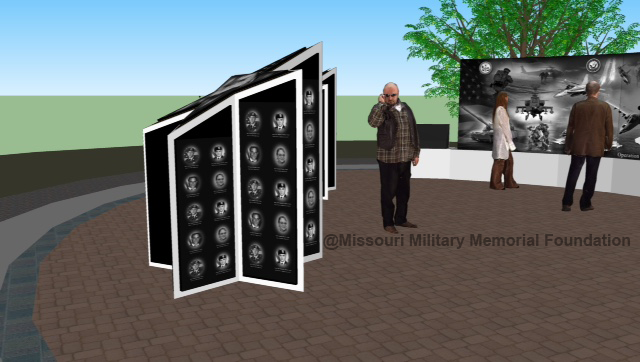 Our Board of Directors and volunteers consists of Gold Star family & friends from the State of Missouri. The 5K, our biggest fundraising event of the year, takes place at Jefferson Barracks Park. The park is absolutely stunning during the month of October with the leaves changing for the Fall season, a cool breeze, the warm sun and a peaceful place to show our patriotism, gratitude & respect. The public, of all ages, are welcome to participate with a paid registration. 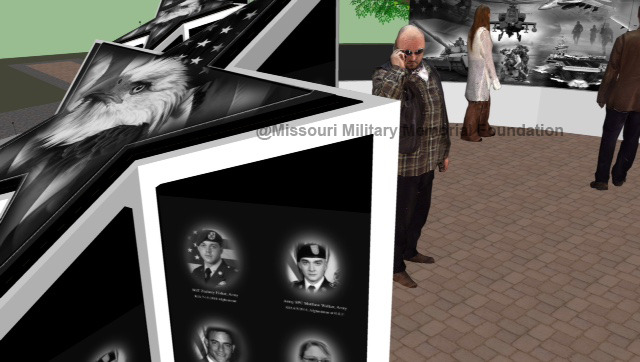 This particular event is opportunity for everyone to honor their own personal heroes whether they be active status, a veteran, KIA, or casualty of war, from any conflict/war or peacetime. 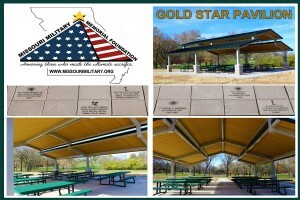 The Phase One project, the Gold Star Pavilion, was built in 2014. 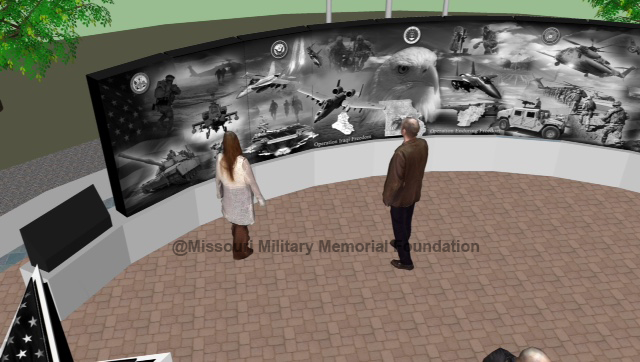 We are now on our Phase Two project…the actual memorial. 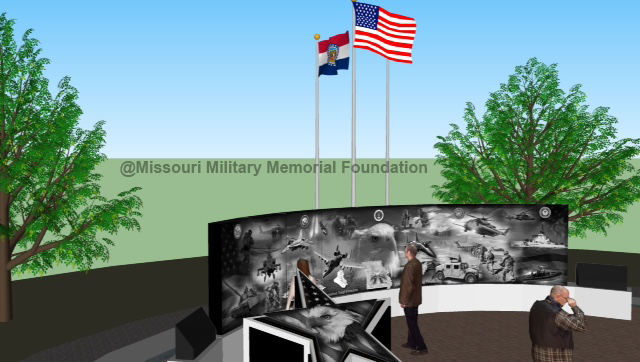 Please see the pictures below for the drawings of our much anticipated memorial.